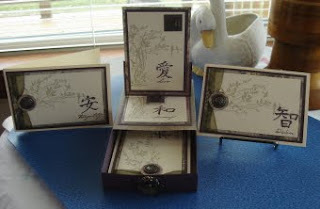 My stamps are from Stampin’ Up, Stampendous and Kodomo Inc. 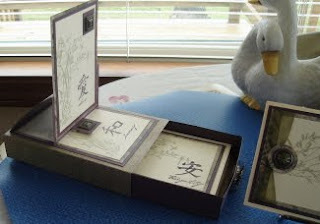 The little box holds four 3 ½ x 5 cards. Love these things you've been making from that CD. Vada, what CD did your projects come from? I am loving the card set. It speaks of peace. Gorgeous and what a wonderful gift this would make! This is really lovely, and such an interesting design! 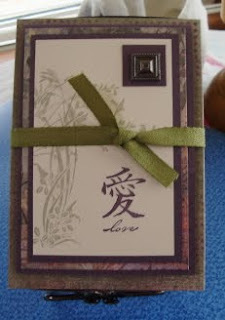 4 x 4 Notecard Holder. Fancy Folds Tall Accordion Card.